Students in the UK sometimes complain that they have it tough. It is nothing however, compared to the trials that students face studying in Turkmenistan. I would like to see UK students taking to the streets to stand side-by-side with their Turkmen brothers. University students are not to leave the university premises before 6 p.m. Those who live in dormitories must be in bed before 11 p.m. and are not permitted to do their homework after that time. There was no reason given for these new measures from the notoriously authoritarian and erratic regime. Many within the Turkmen government fear grass-roots activism stemming from the academic minorities after up-risings across North Africa. 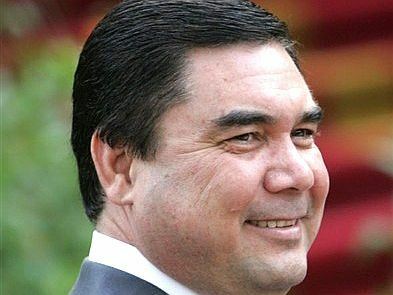 This all comes after Turkmen President Gurbanguly Berdymukhammedov sacked the deputy prime minister Ashgabat Polytechnic Institute after a death earlier this month for failing to stop a party that led to the death of a female student. These measures add to the already restrictive atmosphere in which academia operates. Students at Turkmen colleges and universities are not allowed to appear in foreign media, leave the country on vacation, drive a car, or use mobile phones on university premises. There is of course, little chance of protest within Turkmenistan. This is another right that Turkmen citizens do not enjoy. Could we organise the NUS in this country to stand in solidarity with the students of Turkmenistan? Could we get the NUS to call for a reversal of these measures? Education is something we take for granted. It is important to remember, that for many around the world the levels of education we receive in this country are merely an aspiration. It’s ironic that many of these states rejected the iron grip of Soviet oppression only to replace it (or to see it replaced without their involvement or consent) with the equally harsh regimes that we now see operating throughout central Asia. I agree with you that students organisations, particularly the NUS, should show their solidarity with students in Turkmenistan by issuing a clear statement as to how unacceptable these new measures are. It won’t make much difference to the regime but it would make an important moral point and would prove that such things are noticed by the international community.